The best way to kick off the spring and summer is definitely to head to the green, palm tree covered fields of Coachella! 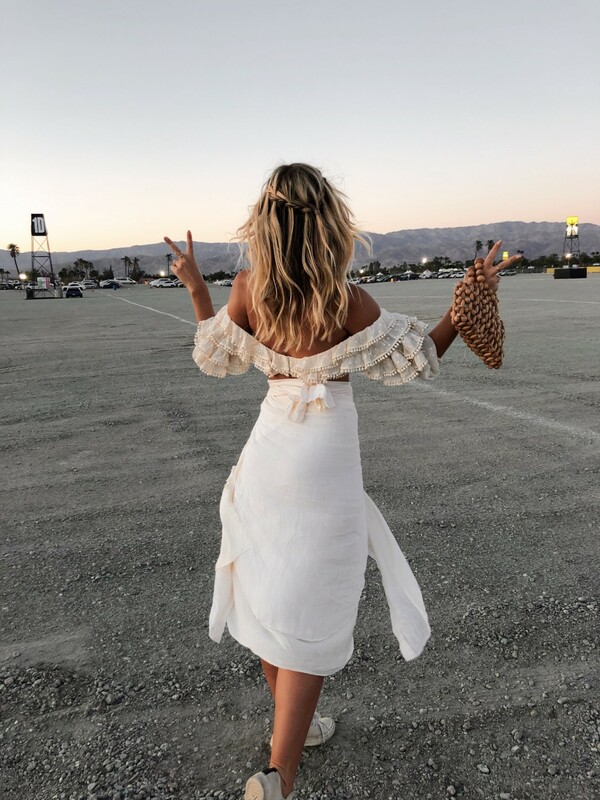 This year I was invited to go with my favorite hair care brand Pantene, which basically meant I had the cutest festival hair of any Coachella trip I’ve ever been on…. The Pantene Style Lounge is where I had my hair braided and styled each day, thank god for them because I can’t do a braid to save my life! Nothing tops off a Coachella outfit like a cute hair style, it really takes the whole look to the next level and also gets you in the mood to be a hippie flower child. -I loved having braids in my hair because it maintained its appearance longer that way. Normally the wind takes over and your cute beach waves go flat in a matter of a few hours. Be sure to check out the Pantene Style Lounge if you are heading to Coachella next weekend! You won’t regret it. 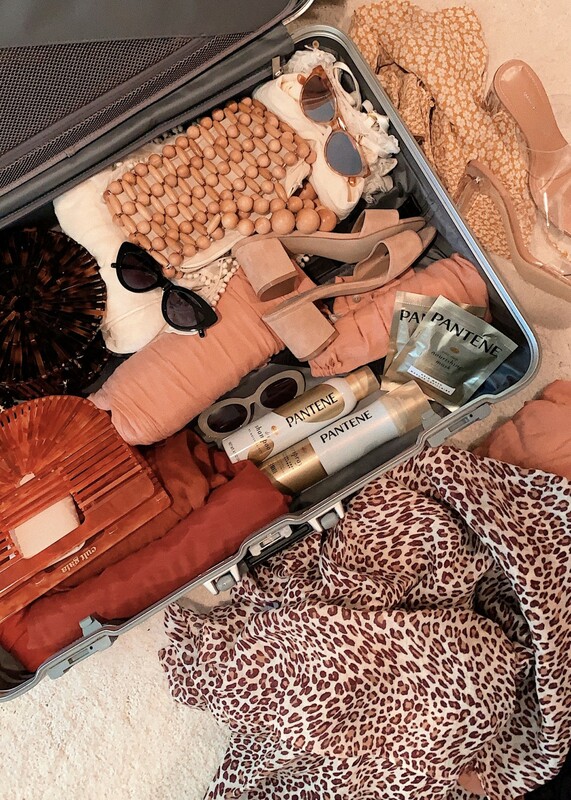 -I used the limited-edition Pantene Festival Hair Kitover the weekend because it has literally everything you could ever need in the dry, windy desert! There are five essential styling products in the Festival Hair Kit – the Airspray, Dry Shampoo, On-the-Go Frizz Iron, Intense Rescue Shots and Nourishing Mask sachets. -My favorite products during the festival were the Airspray, a “brushable” hairspray that offers a light hold and the Nourishing Mask at night that offers instant hydration to detangle and soften my hair. -My favorite product post festival was the Intense Rescue Shots.Applying the treatment from root-to-tip in the shower instead of my conditioner saved my hair from a long weekend of dry desert wind! It is also super quick – let it sit for 30 seconds, then rinse for 30 seconds and you’re done. They brought my hair back to life, repairing the damage from the weekend and I definitely recommend using these when you get home! Head to Amazon now to pick up the Intense Rescue Shots as they are running a promotion – if you buy one, using 50GIVESHOTs, you get a second one free! -Try something different. I generally stick to my beachy wave but it was so much fun this year trying some new hair styles! 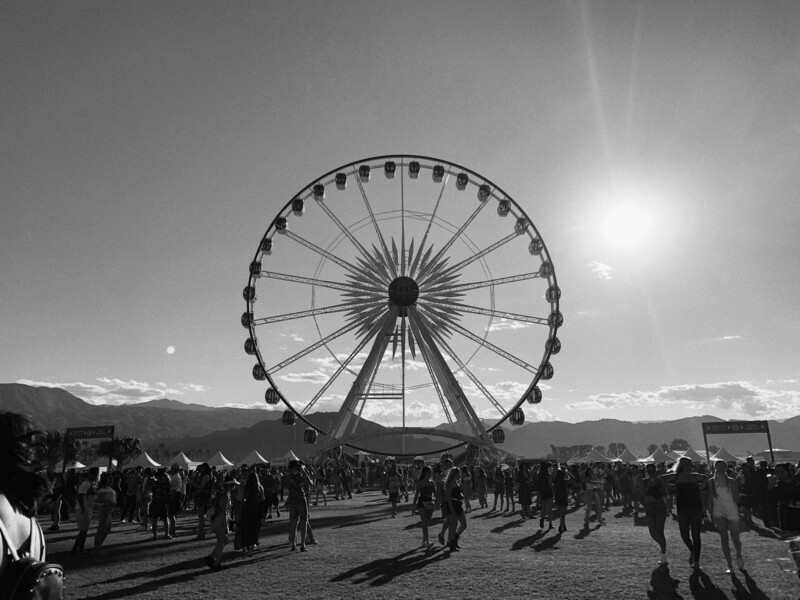 Every year that I go to Coachella I wonder how it will top the last but it just gets better and better. I can’t believe I have to wait another year to go back but in the meantime I made so many amazing memories to reminisce about with my friends, what a great start to the Summer! 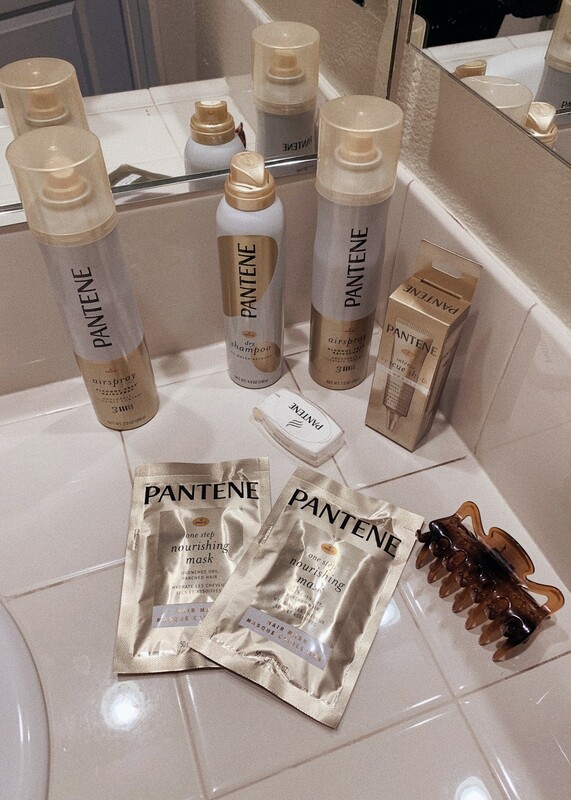 Did you know Pantene is the official haircare sponsor of Coachella, Stagecoach and Firefly?! This post was sponsored by one of my favorite hair care brands, Pantene! All thoughts and opinions are my own.